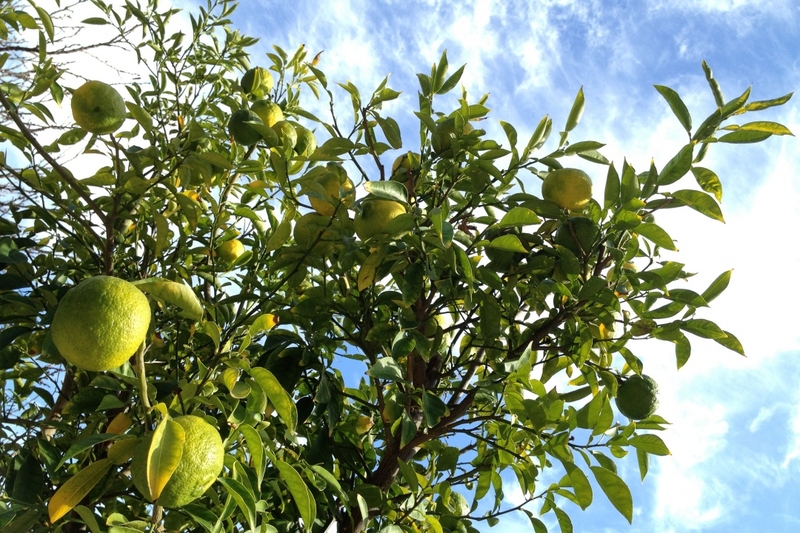 Yuzu (Citrus junos): growing, planting, caring. A cousin of the lemon, most valued in Korea and Japan where shreds of its rind are used to accent cooked vegetables, fish and noodles . Yuzu is a lemon tree native to China, but very common in Japan where its zest is widely sought after for cooking. Although it is more resistant than its cousin Citrus Limon, in temperate climates it is better kept it in pot, to be sheltered for the winter. 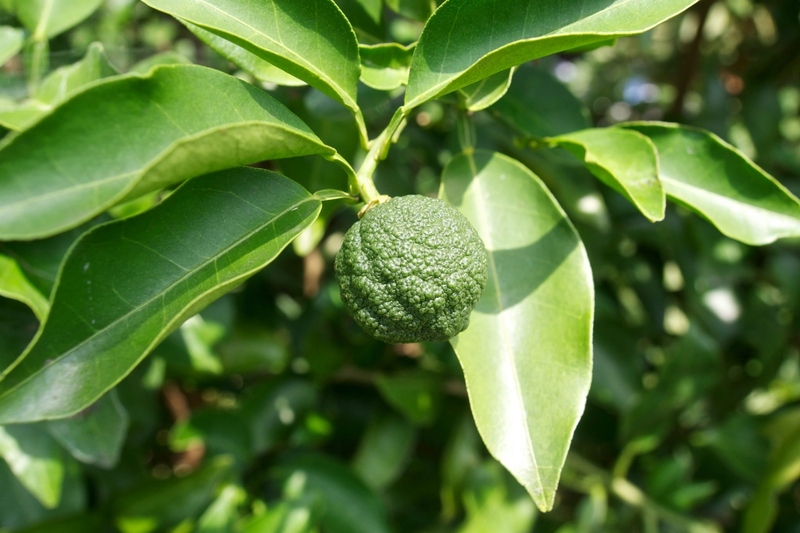 Yuzu - Citrus junos - is a small tree species of the Rutaceae family, producing citrus fruits - yuzu - from the cross between wild mandarin and Citrus ichangensis, with a slightly spicy taste between grapefruit and mandarin. Originally from China, it is very popular in Japan, especially for its fruit. Very thorny, rarely reaching 4 meters high, its glossy green leaves are lanceolate, simple and persistent. The small, white, spring-like flowers are lightly scented: they will give fruit with a thick, bumpy skin, which is usually the size of a tangerine, but the yuzu become yellow when ripe. Yuzu is grown in sunny areas in a rich, non-calcareous, light and well-drained soil. It will grow in semi shade, if needed. Although it is more resistant than its cousin Citrus limon, you should plant in a pot, except in really soft climate. Choose a large vat or a pot preferably made of terracotta, pierced at its bottom to ensure proper evacuation of water. Place at the bottom of the pot a thick layer of gravel or clay balls, equivalent to about 20% of the pot volume. Mix good soil, compost and medium-sized river sand. Spread a layer of this mixture at the bottom of the pot and place your yuzu there so that the graft point protrudes from the top of the pot. It should never be buried. Fill vacant spaces with the mixture and tamp around the foot. Sprinkle copiously to remove any air voids in the soil. Add some mixture on the top if necessary. In open soil, plant the yuzu in the sun, sheltered from the wind, preferably against a wall, in a light, quite acid and well drained soil. On the other hand, never try to cultivate it indoors, it does not support the warmth of our insides. The rule: water regularly in pot during growth, and much less during vegetative rest. Yuzu, like its cousin Citrus limon, has during summer a particular language to explain to you if it is thirsty! Thus, leaves pointing upward mean water deficiency. Leaves pointing downwards, conversely, mean an excess of water! On sunny days, the yuzu potted outdoors is highly evaporating - so it needs very regular watering in this season to grow optimally. The soil should never dry completely between two waterings in summer, but you should not leave stagnant water in the cup either. In winter, you should water at a steady rate as long as the tree is bearing fruits - and you can go down to once a month afterwards, leaving the substrate to dry slightly between two waterings. A potted yuzu needs regular provisions to stay in shape! Repot in spring about every 2 to 3 years by changing the substrate as much as possible to a potting soil specially for citrus fruit or planting. Ensure that the bottom of the pot has a hole - add some gravel to the bottom for drainage. Starting in autumn, bring in the pots. Also it is hardier than its cousin Citrus, it is still better for your potted yuzu tree to spend winter in a bright frost-free spot: the ideal temperature is between 8 and 12°C - definitely not in your living room or else resign yourself to living in these temperatures. During winter, keep watering your tree as long as it is still bearing fruit, then you can space out the watering, letting the substrate dry slightly between them. Take out your yuzu in pot for the summer, from May. Find a spot in full sun, but sheltered from the wind that dries its leaves! If your yuzu is planted in open soil, but you fear a possible frost, don't hesitate to cover its base with a good layer of dead leaves for the harshest weeks. Also wrap the stem in a thick mat (woven bulrush, cane, rye or rice straw...), held by ties. You can also cover the foliage with a wintering cover. The citrus love of water accelerates soil leaching: therefore, it really must be fertilized — especially for potted lemons! For a plentiful harvest, regularly provide a fertilizer rich in nitrogen and lye — you can find fertilizers appropriate for citrus fruit in stores or try with a compost. In winter, reduce the provisions to once a month. In spring, start back up with a frequency of once every two weeks. Trim your yuzu to encourage more offshoots for a more compact and less spread out habit. For the first years, cut each new stem once the growth is finished — the new leaves will be darker and tougher — leaving it at a length of 20 cm. 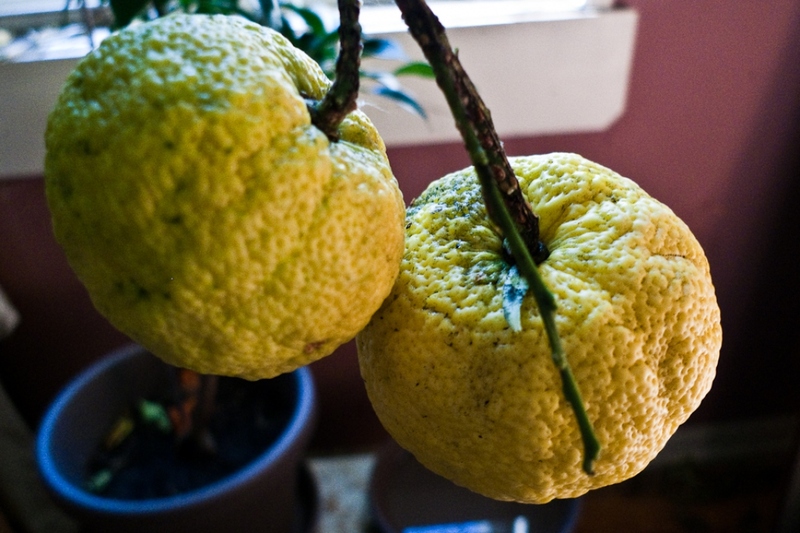 The yuzu is pruned once a month from May to September until the lemon has taken its shape. Thereafter, only one pruning per year is necessary at the end of winter. Remove dead or diseased branches as well as those that overlap to open up the plant and let light in. Watch over your yuzu in winter: if the leaves darken, it's a cold spell, and if they lighten, it's a lack of fertilizer! The lemon can also have other troubles: Aphids are seen with the naked eye under the leaves near the veins. Spray the leaves with soapy water or a mixture of water and olive oil which will additionally nourish your plant. Scale insects enclose themselves in a brown shell or under a white coating on the back of the leaf against the main vein and excretes honeydew which will attract fungi. Is the yuzu's foliage faded? Its green is becoming a silver gray? Small spider webs are forming at the ends of the leaves? Your lemon has been attacked by red spiders. Between the scale insects and red spiders, you can moisten the foliage as a precaution several times a week with soften and unbleached water. Yuzus like a soil always fresh but well drained. Their roots are mostly superficial, and they do not appreciate the presence of herbs or other plants that compete with them. Mulch, to avoid weedings, and to keep the roots cool! Pine spines made mulch will suit kumquats perfectly, but dried mowing residues will also do the trick! The harvest takes place from October to December. Thus, the fruits often ripen inside. Keep the ground slightly damp until you pick the last fruit.